Posted on September 16, 2016 at 3:32 pm. Posted on May 4, 2016 at 4:37 pm. On May 3, 2016, JBAM celebrated Spring with about 75 attorneys, judges, and members of the legal community. It was a wonderful event full of live music, food, drinks, and networking. 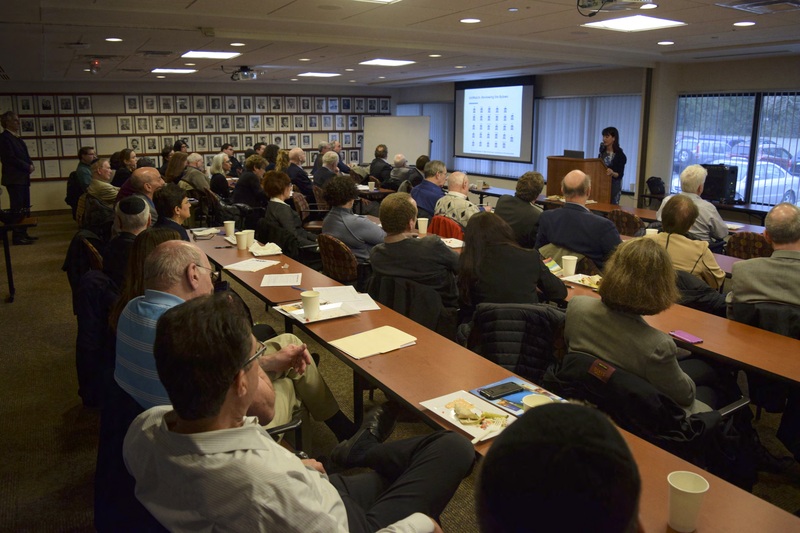 Participants also had an opportunity to explore the new www.jewishbar.org website and join/renew their memberships online. Thank you to everyone who came out to make it such a special night. 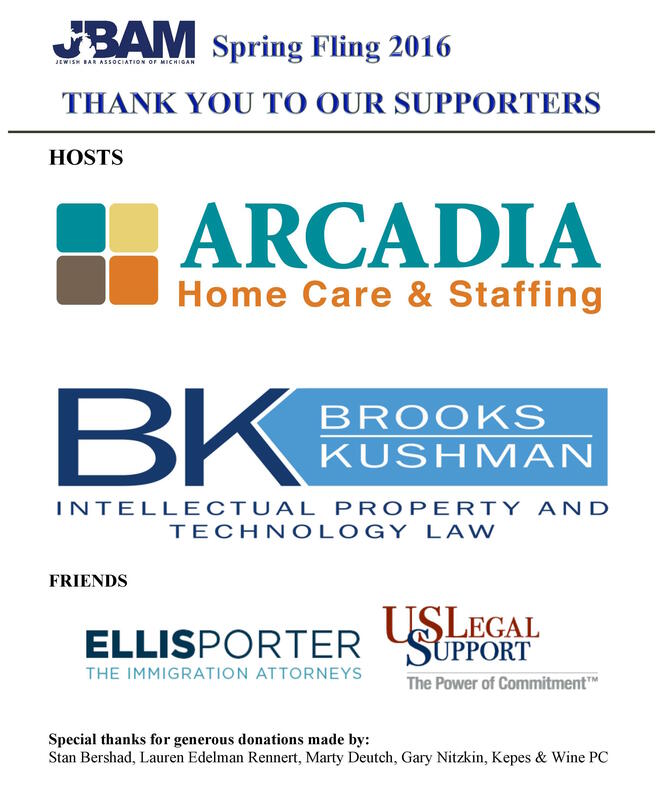 Special thanks to our sponsor hosts, Arcadia Home Care and Staffing and Brooks Kushman PC; to our sponsor friends: Ellis Porter PLC and US Legal Support; to our supporters who contributed towards a wonderful raffle: Stan Bershad, Marty Deutch, and Kepes & Wine, PC; and to our co-chairs: Matt Cohn and Lauren Edelman Rennert. We look forward to seeing all of you at future JBAM events. Posted on April 22, 2016 at 11:17 am. Posted on August 28, 2015 at 9:13 pm. 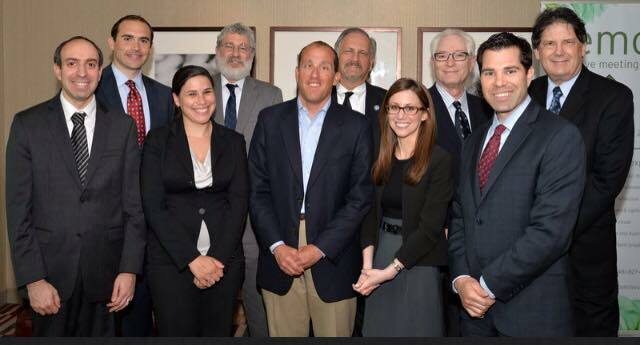 Michigan Supreme Court Justice Richard Bernstein along with Jewish Bar Association of Michigan board members at JBAM’s Annual Dinner and Reception Honoring the Judiciary on May 18, 2015. Posted on August 28, 2015 at 2:23 am. Women in law know it’s a dance – a constant effort to find the balance between power and grace in a competitive, often relentless work environment. The numbers tell the story: women start out on equal footing with their male peers in law school, comprising about one-half of the graduating classes of the American Bar Association-accredited law schools. But their numbers fall quickly through attrition (marriage and babies) within their first years of practice.